November | 2015 | "A Stitch in Time"
Sometimes I luck out and find a good free book on the Kindle. 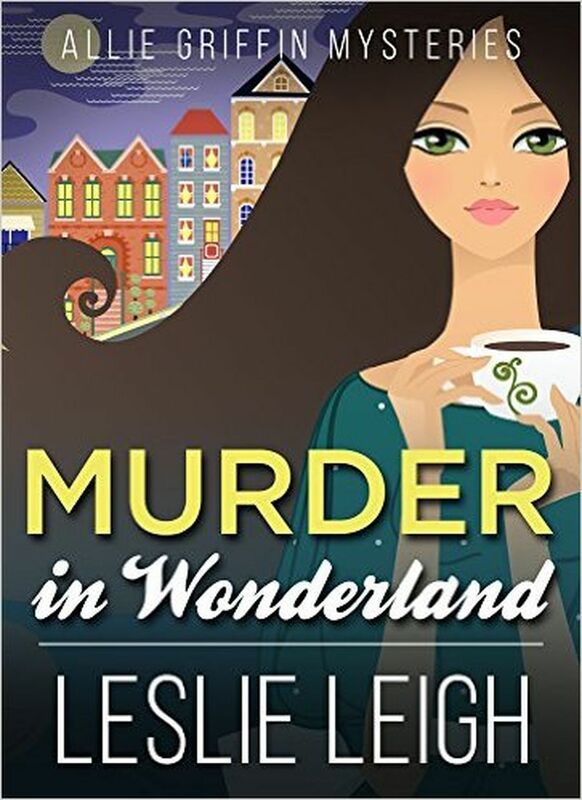 Murder in Wonderland, by Leslie Leigh is a great example of this. 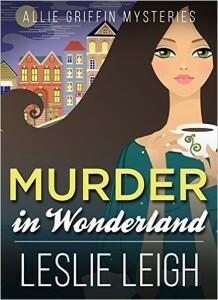 The first in the Allie Griffin Mysteries series, it features Allie – a plucky widow trying to break into the upper crust of her hometown Verdenier by hosting the local book club in her own home only to have one of the snootiest of the snooty fall over dead in the middle of her Alice’s Adventures in Wonderland themed table. There are various direct quotes and clever connections to the Alice books through out the story. The main character is obsessed with the book and it shows. The cast of characters at the book club are all rather interesting, some with some rather sordid pasts. The author (and main character) cleverly align them with people out of the Alice books. It certainly made them stick in the mind more and was a wonderful way to add characteristics to them without having to go into high detail. After when you hear RED QUEEN you don’t exactly think sweet little widow lady. This book is light on violence, no sexual content and no true profanity… instead Allie will often say the word. Something I found rather humorous and not the least bit annoying. The mystery is an interesting one and the ending a surprise to me. Which I love. There is a shady police officer but he is more of an annoyance than a major thorn in the side. This is balanced out with another more capable and realistic officer thankfully. So, literary references, humour, fun characters and a mystery that keeps you guessing! Not bad for a random free read, not bad at all! Well, I think I am finally on the downswing of my fluffy reading binge. Or just not grabbing books from the library (still randomly) that completely tickle my fancy. Yuletide Baby by Deb Kastner bypassed Thanksgiving right into Christmas. I have a couple loves with this one – the name of the town – Serendipity, Texas; the name of the abandoned baby in the church – Noelle. Who wouldn’t want to live in a town named Serendipity and if you know anything about my baby name choices (Emanuel, Echo, Trinity), well Noelle fits right in on that one. Now for what I had trouble with – this is another foster parent book. As mentioned previously a baby is abandoned in a church in the Christmas creche. There is a history of abuse with the female main character Heather and both she and the male lead Shawn (part time pastor full time rancher) hold onto guilt for situations they could not control. There really is not much of a focus on the people in town around the two main characters, possibly because they are really both two wrapped up in their own emotional turmoil. You get a lot of back history in this story on both sides and most of it is tragic. This has caused a strengthening of faith with one and almost a fear of the church and God with the other. The ending has a rather dramatic climax that includes Heather’s foster children (and myself a tiny bit confused as to where Noelle was during all of this). The ending is lovely and wraps everything up with a Christmas bow. 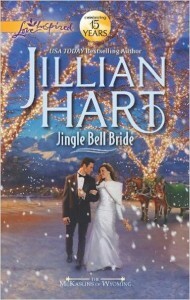 This is a seasonal contemporary Christian romance with a bit of a gritty under belly. In reading the author’s note to the reader I realized there are multiple books set in the town of Serendipity so the potential is there for more faith journeys in small town Texas. I think I simply prefer my light reading a little less angst filled.